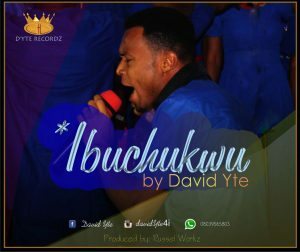 David Yte, formerly a secular musician, whom got delivered by God in the year 2008 and has since gone into Gospel Music fully, has released his worship single titled IBUCHUKWU. IGC is what David Yte calls the genre of his music and its simply and acronym for Inspirational Gospel Contemporary. A blend o Soul, Classical Jazz and Indigenous Blues. His message is purely Worship to God. Ibuchukwu means YOU ARE GOD. This site rocks. May God bless the developer.